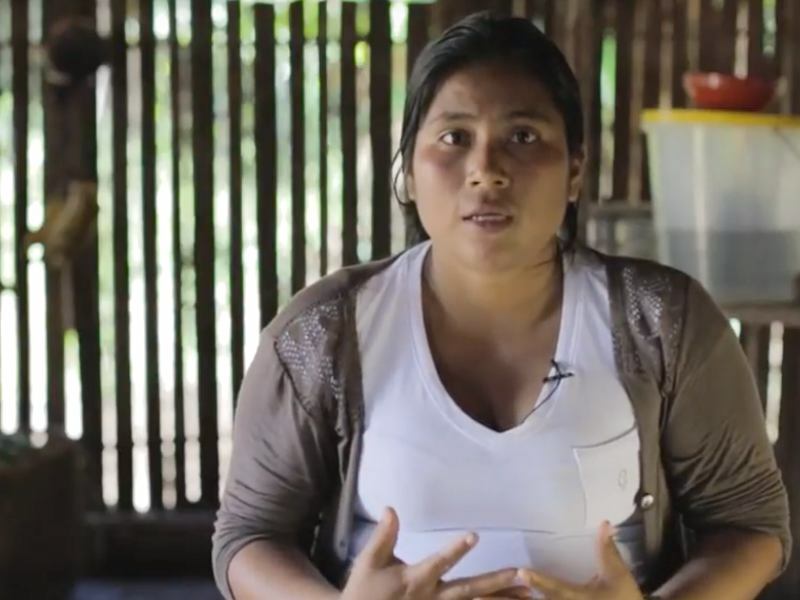 More than 75 elders and community leaders gathered last week in the Shiwiar community of Juyuintsa, located in Ecuador's far eastern Amazon rainforest, just at the border with Peru. This is the first time three indigenous groups were able to meet in their own territory, as they're normally separated by large distances in the rough, roadless jungle terrain. Most traveled hours up the Conambo River by canoe or arrived by small charter plane to voice their opinions at the two-day assembly on March 20 and 21. Everyone agreed on one thing: Unity between the nations is needed now more than ever to keep extraction activities out. "Our objective is to unite in defense of our territory," Edison Gualinga, president of the Shiwiar Nation, told Mongabay in Juyuintsa. Gualinga added that they are stronger fighting together. "We don't want to lose our culture, we don't want to lose our customs, we don't want the rivers to be contaminated, or that the spirits that exist in the earth and in the water, we don't want them to be destroyed." The Shiwiar, Kichwa and Sapara nations came together because their territories overlap with what the government has labeled Blocks 86 and 87, which are part of an international oil auction known as the Southeast Oil Round. 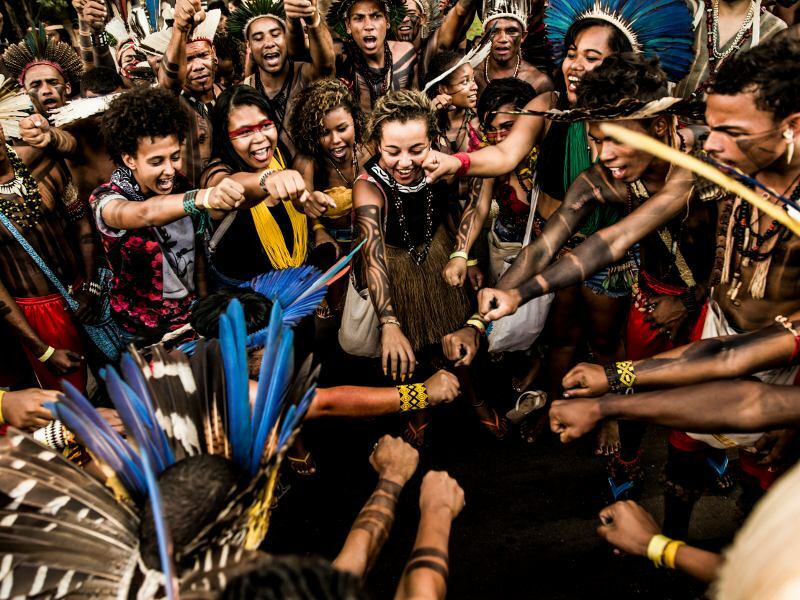 By the end of the two-day assembly, leaders created a nine-point resolution to reject the auction and all future oil, mining and hydroelectric energy projects in the Amazon, as well as contracts that are already underway. "The Shiwiar, Sapara and Kichwa nationalities of Kawsak Sacha decide to leave the oil in the subsoil and declare their territories intangible in perpetuity, where it is forbidden to extract non-renewable natural resources. The governments in turn must respect this decision," states the resolution. The conversation about the need for stronger solidarity between the nations was sparked by an announcement made by Carlos Perez, Minister of Energy and Non-renewable Resources. In October 2018, Perez told a room full of oil investors at an annual energy, mining and petroleum conference in Ecuador's capital, Quito, that Blocks 86 and 87 are up for auction. "There will be no problems, because the communities live in other blocks," Perez said, according to the news site Ecuadorinmediato.com. The announcement outraged the seventeen communities who live in those areas. "This is called lack of knowledge," Gualinga told Mongabay. "They don't know the realities of the nationalities that live in the province of Pastaza in the Amazon region. To be able to intervene or manifest [policies] here, any government of the day, including the senior ministers, must first know the realities." At the heart of the tri-nation resolution is also total rejection of the free, prior and informed consent, often referred to as FPIC, and in particular, a 2012 process that led to the creation of the Southeast Oil Round. According to both national and international law, the government must seek the free, prior and informed consent of communities that could be affected by extraction projects on or near their territory. The law states that communities must be consulted before the projects begin, with the objective of "achieving agreement or consent" about the plans, according to Convention 169 of the International Labor Organization. Leaders at the assembly meeting on March 20 and 21 complained that the Ministry of Energy and Non-Renewable Resources, formerly the Ministry of Hydrocarbons, conducted a faulty consultation process in 2012. In that case, many communities were either not consulted at all or were told only about the economic benefits of oil and not of the negative repercussions of oil extraction in their territory. The government then divided the Amazon into oil blocks and tried to sell 16 of them in an international oil auction. The Ministry of Energy and Non-Renewable Resources did not respond to request for comment. In 2018, the auction was significantly reduced to the two blocks, 86 and 87, where the Shiwiar, Sapara and Kichwa peoples live. Carlos Mazabanda, Ecuador field coordinator with Amazon Watch, described the 2012 consultation process a "fraud." Mazabanda said the wheels were already in motion and that the process was never conducted with the intent of reaching an agreement with or obtaining the consent of communities. The government of Ecuador had announced in 2010 that it would explore for oil in the Amazon and started dividing the region into blocks in 2011. One of the reasons this was possible was because former President Rafael Correa passed Decree 1247 in 2012, just before the consultation process began. According to this decree, indigenous communities only have to participate in the consultation process; they do not have to give consent. This means the government is free to continue with extraction projects, whether the community agrees or not, in violation of international law. This same 2012 consultation process has caused grievances with other indigenous communities as well. Earlier this year, the Waorani community filed a lawsuit against the government, saying their land is not for sale. Their territory overlaps with Block 22, which was technically removed from the oil auction last year, but the government warned that the region is not exempt from future drilling plans. The Sapara, Shiwiar and Kichwa nations plan to submit their resolution to the government in the coming weeks. 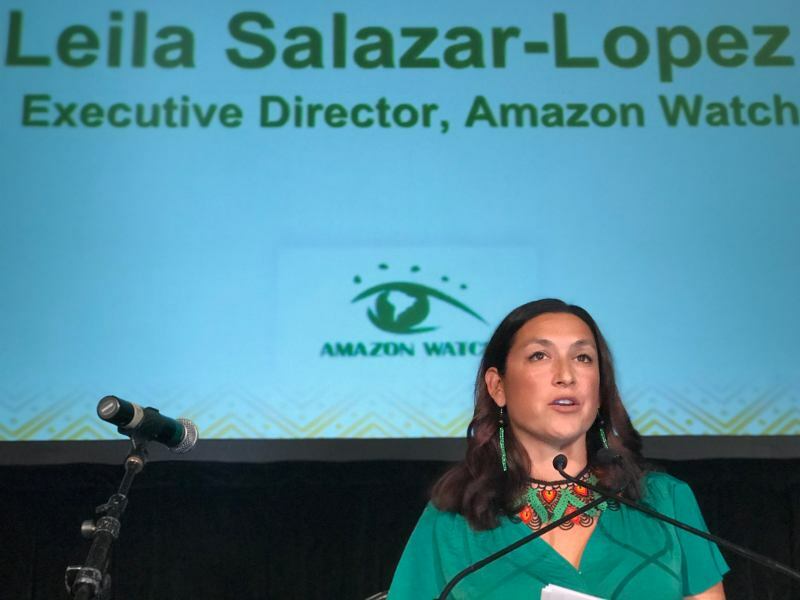 Though it's not legally binding, Amazon Watch's Mazabanda said it's a powerful communications strategy. 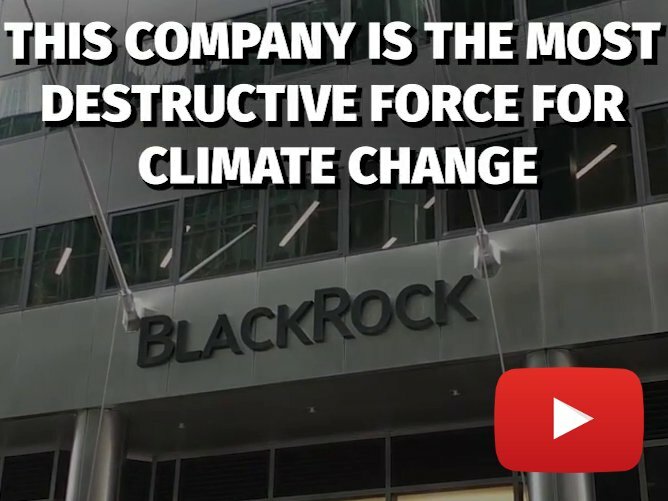 "It's important that this message gets to oil companies and these companies see that if they invest here, they are investing in a conflict," Mazabanda told Mongabay from Quito. Oil has long been an important part of Ecuador's economy, and the income derived from extraction projects greatly contributed to the decline in poverty and extreme poverty during Correa's presidency. According to the World Bank, between 2007 and 2017, the share of people living in poverty fell from 36.7 to 21.5 percent, and the proportion of those living in extreme poverty dropped from 16.5 to 7.9 percent, largely due to the high price of oil at the time. 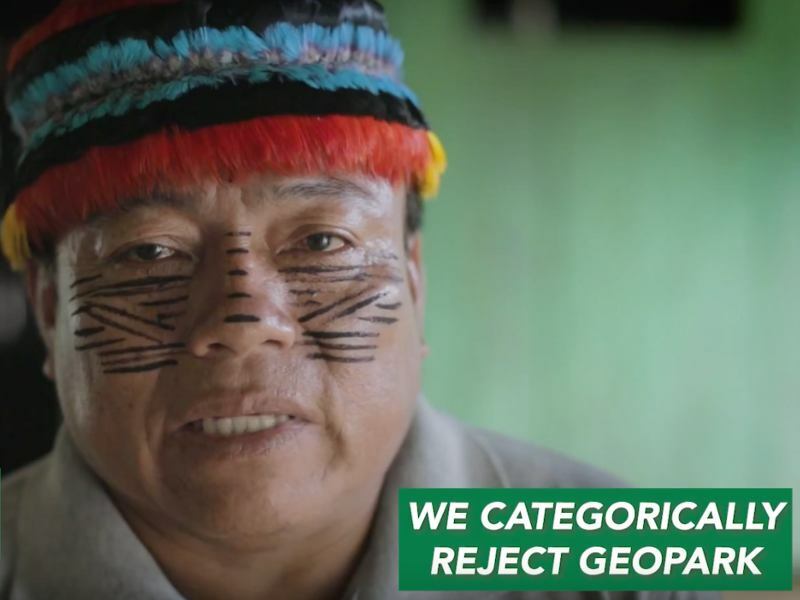 But indigenous communities in the Amazon say the government can no longer continue to profit at the expense of their rights. "We have the same rights in the constitution: the right to health, good living, education, and others," Gualinga said. "I respect the authorities, but I also want them to respect me." 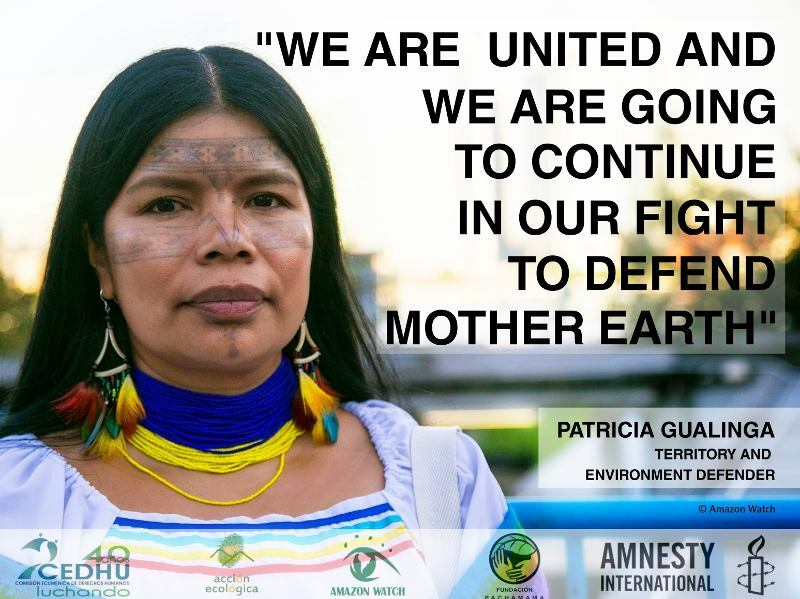 Stop the Financing of Amazon Destruction!